First and foremost, as any serious student of the Bible knows, rebuilding the temple, or even training Rabbis to officiate, be it for removing dead bodies in a sanctified manner from the temple mount after an attack by Muslims, or actually seeking to enter into the presence of the Lord above the ark is not biblical this side of Calvary; nor is it prophesied to happen at all. The only place we see a third temple mentioned in any format in history is in Jesuit propaganda and infiltrated Protestant hype. Nary a Bible verse can be presented to back it up. The temple on earth has been vacant of the Lord's presence for 2000 years for a reason. But as we know by watching the many strange Jesuit agendas being proclaimed by many Protestants today, most Christians actually alive believe a third temple is needed. Now do you see why it's so important to stay in your Bible and do as the Bereans of old when checking out what the preacher says? The wolves masquerading as pastors and preachers have finally made it possible for the majority to believe the lies or Rome so as to allow Satan to set up his arrival as "Messiah" using both the Jews and the Vatican prelates worldwide. 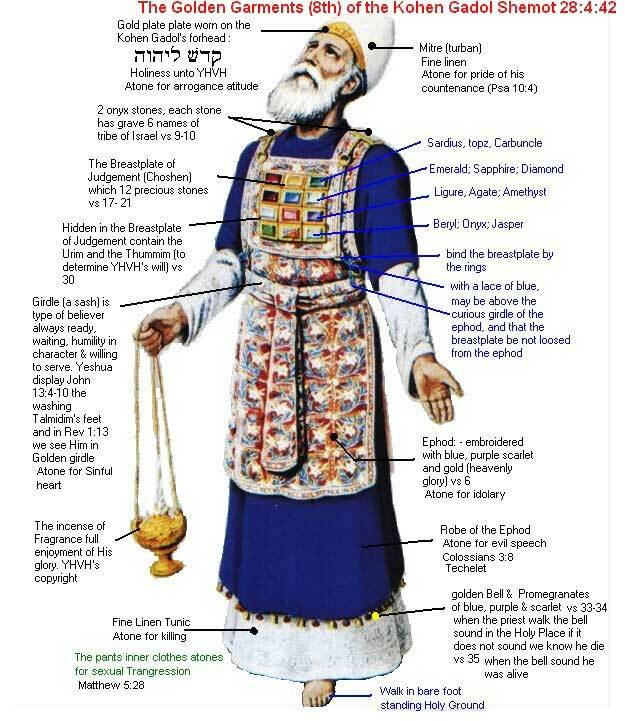 By the way; seeing how we now know this is all happening as per Vatican agenda with this third temple folderol, one can now expect to see them shoring up their other false prophecy regarding a seven year trib that entails a fabricated peace treaty with a preplanned violation of that treaty in 3.5 years so as to claim Vatican prophecies are real to better CONvince the masses Satan really is their Messiah. Will they be able to go that far? Or is this and their other false prophecies merely a back up plan in case their work towards garnering souls for hell fail to work as Satan hopes. All of this depends solely on how long our Lord tarries. They truly have no say so in any of this because the Christian God is actually a God. And so, like the mudlsinger that hopes most of what he tosses sticks to the wall, the enemy of souls also has a backup plan. After all, he's been working on this for 6000 years. As students of prophecy, all we can see at this point is a valid reason for why they set up the false prophecies in the first place. Jesuit agenda is not trustworthy. It's not like Christian prophecy wherein it's 100% accurate to the letter. Rome can only makes plan and hope for the best. Or worst in this prophesied case. The Creator doesn't grant them any insight into that which is written. Only the obedient bride of Christ knows what will happen next because our Lord reveals it to us. Rome can only make a hell inspired guess. Hence the prophetic mudslinging. Now for a bit of a shock for those Christians that are dragging their feet on getting ready. Have you heard about the so called Messiah of the Jews that died in 1994 that they now say has recently resurrected? This Rabbi Menachem Mendel Schneerson is now being promoted as resurrected by many Jews. Compile that with all the signs of the end including the fact they are right now training priests to stand before the Lord (who won't be there) in the Most Holy place, and you have the perfect storm of demonic deception that will garner billions of souls into Satan's death camp. It's exactly as Jesus prophesied in John 5:43. He said, "I am come in my Father's name, and ye receive me not: if another shall come in his own name, him ye will receive." Soon Satan will stand on earth claiming to be Messiah to the Jews, Jesus Christ to the Christians, and Mahdi to the Muslims. That all being said.. are you ready? ARE YOU SURE??? First and foremost, how many students of prophecy saw this coming? I can imagine a sea of hands raised high up on that one. As I have been proving for years on my Vatican Socialist Agenda page, a cashless as well as socialistic format in America is a must if they are ever to be able to enforce the mark. And her Bernie Sanders (a card carrying Socialist) inspired single-pay healthcare system is nothing new. Well, ok, it is new for America, but it's nothing new in the world. Take Canada for example where they have a socialist healthcare system. Ask anyone in that country what the average time is to see a doctor and you will be shocked. But that's not the issue here. 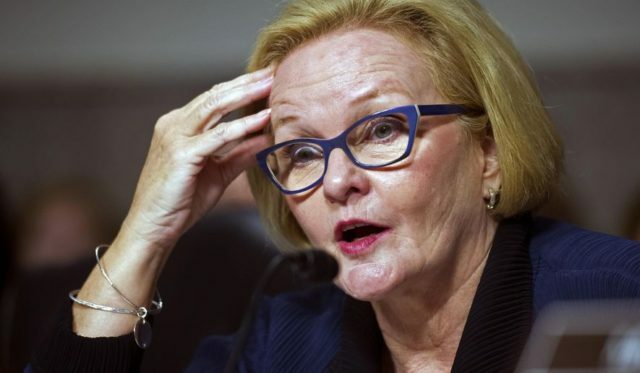 McCaskill, like Sanders, are tooting the old worn out horn that Socialism doesn't necessarily have to be the stepping stone to Communism. But as every Communist nation has seen come to fruition in their past, we are now seeing with our own eyes since September 11th; whenever you give up a few freedoms here and there to the Government, they usually go for more and never stop there. After all, once in power any politician will admit gaining more power is always a staggering temptation. Case in point, big government thrives on cultivating power over the people. And they always lie through their teeth to get there. Take a look at the picture on the bottom of this post. That's the bottom section of the front of my Social Security card from back when I was 12 years old. Notice how it says "NOT FOR IDENTIFICATION" on that card? That was back in the 1960's. But today, that exact same Social Security number is REQUIRED in order to get a bank account, a credit card, a loan, a diploma, an apartment to live in or even a job just to name a few! Once the people go along with the powers that be and their power crazed agendas, (as we saw with the 501c3 as well) after a few decades of making sure everyone's in the same boat, they always drop the anchor and you're not going anywhere without their permission! So when McCaskil or Sanders say a single payer Socialist form of healthcare won't lead to more control over the American people, I wouldn't believe them anymore than I did Obama when he said Obamacare would allow you to keep your old doctors and the prices would not go up. No wonder they call it Obamacare, calling it by its real name, "the Affordable Care Act" sounds ludicrous. When it comes to lowering healthcare costs, all you have to do is get patients to sign off on suing the doctor’s they trust. When they do that the only way the doctor can be sued will be if he was drunk or some other extenuating circumstance occurred that was way out of character causing a death or crippling event for their patient. Basic reality is, many people trust the family doctor and would never have a problem signing off knowing that if something went wrong it would not be the doctor's fault as they trust he or she did their best to prevent it. This would then allow the doctor’s malpractice insurance premiums to plummet, which would then cause all healthcare prices to drop as well. Basic reality is, all hospitals charge massive prices for their services to offset gargantuan insurance premiums. But I don’t think they could calculate a risk factor per patient to make it cost effective day one. And so they would have to stipulate the insurance premium discount is only available after a majority (51%) of the doctor’s patients signed off on it. The only problem I can see that could surface is that a new doctor would take time to get to the 51% in any major hospital and so he or she may not be able to take on new patients on their own until after a high enough percentile was secured to make it feasible for them to take on the new patient who may not sign off. Again.. just my two cents. You do realize what YouTube is saying here right? They are boldly declaring that if you’re a Christian, and when I say Christian I mean Bible believing obedient child of God who will not declare Allah is God, homosexual marriage is ok or the Vatican is a Christian organization. That type of Christian will be censored on YouTube. But the truth is, they have already been censoring Christians for years. Ever notice how the amount of hits on my videos have gone down lately? Now I know 8500+ subscribers isn’t a lot, but as is also obvious, it's not as often as it should be that we see over 1000 hits per video even though when I had next to no subscribers the hits were off the chart. Plus, when they censor the hits, they’re also preventing subscribers. And I am not going to buy subscribers as some have been caught doing in the past. Seeing how Google controls YouTube to the core, and just as my website has been censored on Google for years now, Youtube has also been censoring me and quite a few other Christians I know personally. Some from the same church I pastor. That all being said, do you recall this video from years ago wherein all that I shared was 100% historically accurate, and I even shared pictures to prove the Nazis were saluting the Pope on camera; yet YouTube emailed me stating that the video would be blocked in Israel and Germany so as to comply with local laws. Or what of the Roman Catholic commercial wherein I committed no copyright infringement at all, yet YouTube pulled all three of those videos because Roman Catholics who push a progressive pro-sin agenda, complained about it. I believe the only reason this article on Breitbart came out yesterday was because YouTube finally perfected their censoring technology by testing them on sites like mine and others over the years and now that they can remove our comment section, our suggested video section and even censor the videos we like from anyone in the public from seeing them, they will now use the newly structured tools in their arsenal of hate to prevent the love and truth of Jesus from being shared. That is how much Satan fears the truth we preach. Now.. there is absolutely nothing to worry about here. As students of prophecy we know there is not a single Bible prophecy that says they will be successful in preventing the Loud Cry from going forth. So let them flex their muscles all they like. As we speak the Lord has already made it possible for those that need to hear the truth will hear it. So, keep making the videos, keep proclaiming the truth, and keep walking in the Lord. The fact they are doing all they can to prevent what prophecy stated eons ago would be happening right now proves Satan knows he has little time left and that my brothers and sisters is the best news a Bible believing obedient child of God loves to hear. Christ is risen, and Christ will come again.. and God’s people shout, indeed, come Lord Jesus! MARANATHA!